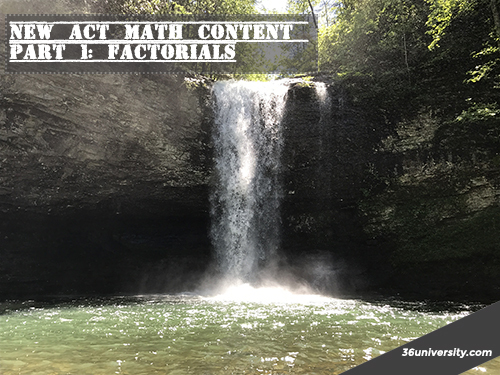 Combinatorics has been added to the ACT math test—and 36U is here to get you ready! Don’t worry. Combinatorics may sound intimidating, but it’s really about fancy, advanced counting techniques that can be a lot of fun and save lots of time. Let’s get right to it. First, let’s work on a possibly new concept with some new notation—the factorial. 6 factorial, written 6!, means 6 • 5 • 4 • 3 • 2 • 1. To simplify, 5! = 5 • 4 • 3 • 2 • 1 = 120. Example 1: In how many different ways can you arrange the letters of the word OVERCAST? You have 8 options for the first letter, 7 options for the 2nd, 6 options for the 3rd, and so on. There are 40,320 different ways the letters of OVERCAST can be arranged. Example 2: In how many different ways can you arrange the letters of the word CANYON? This is a slightly trickier item because CANYON has 2 N’s! Fortunately, if you understood our first example, this isn’t much more difficult. _6 options •_5 options •_4 options •_3 options •_2 options •_1 option = 6! 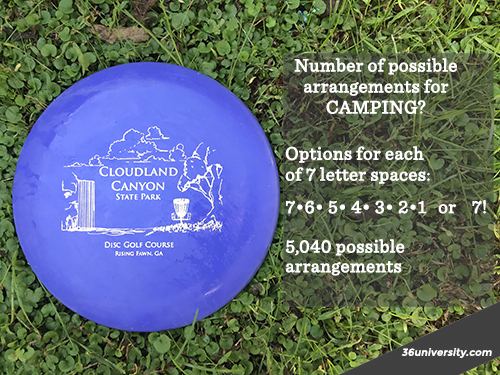 Take your total number of possible arrangements (6!) and divide by 2! to account for N appearing twice. There are 360 different ways the letters of the word CANYON can be arranged! That’s your introduction to new counting techniques (combinatorics) that are being tested on the ACT. 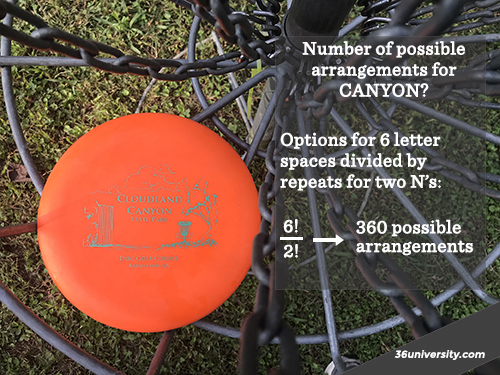 Take time to brush up on your combination and permutations, too. For more instruction and practice on these topics, check out our online program.